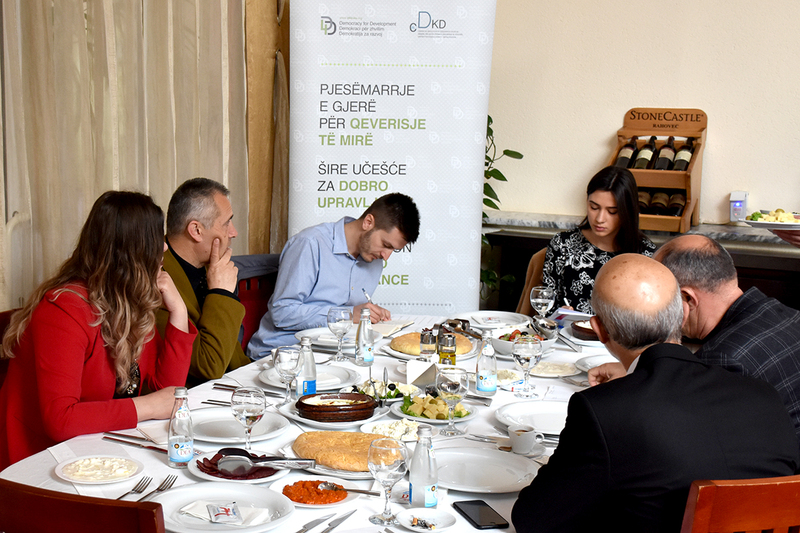 The improvement of communication between the executive and legislative bodies and also the cooperation between municipal councilors of Gilan Municipality were among the key challenges stressed by the municipal councilors at the informal breakfast brief meeting organized by Democracy for Development institute (D4D) on April 5th, 2019 in Gilan. 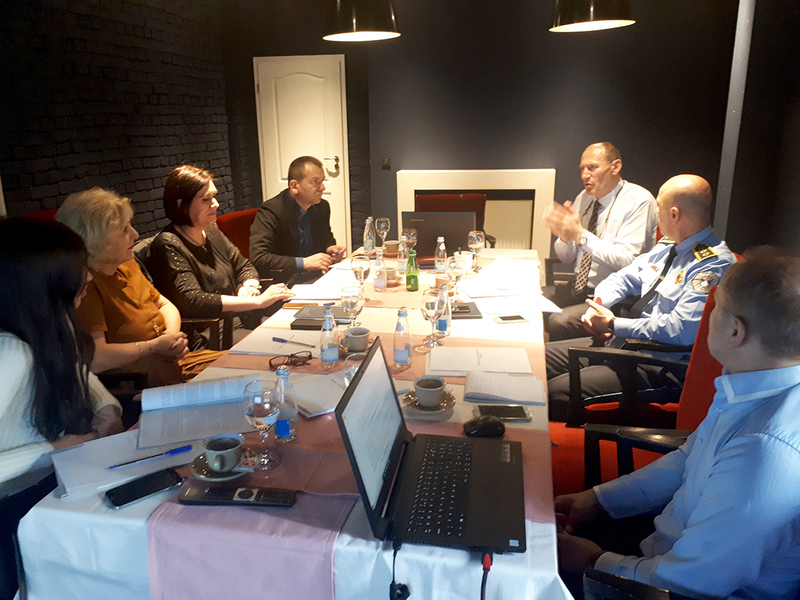 The purpose of these informal meetings is the discussion about Gilan Municipality’s policies on improvement of a good governance principals, Municipal Assembly work and cooperation between groups of politic parties to push forward projects that address the requirements, concerns and needs of the citizens they represent. The chiefs of political party groups that are in coalition at the Municipal Assembly declared their readiness, but also that of the municipal institutions, to cooperate with all representatives of the citizens at the Municipality. Meanwhile, those of opposition parties pointed out that despite improvements from past mandates, there are still irregularities to be addressed, among them, the most highlighted were: a) the entry without order of points in the agenda at the municipal sessions, thus bypassing the Municipal Assembly regulation; b) the neglect by the directors of directorates of Gilan Municipality, who aren’t very accessible, and sometimes even evade to answer the questions aimed at hem by the Municipal Assembly members. Among the topics discussed with the chiefs of political party groups represented in the Municipal Assembly of Gilan were also the functionalization of consultative committees that have been a great help to municipal councilors in the exercise of their duties, functionalization of Village and Neighborhood Councils in the Municipality of Gilan, whose leaders are directly elected by the villagers and neighborhood residents, as well as unsatisfactory gender representation in the decision-making structures of the Municipality of Gilan. 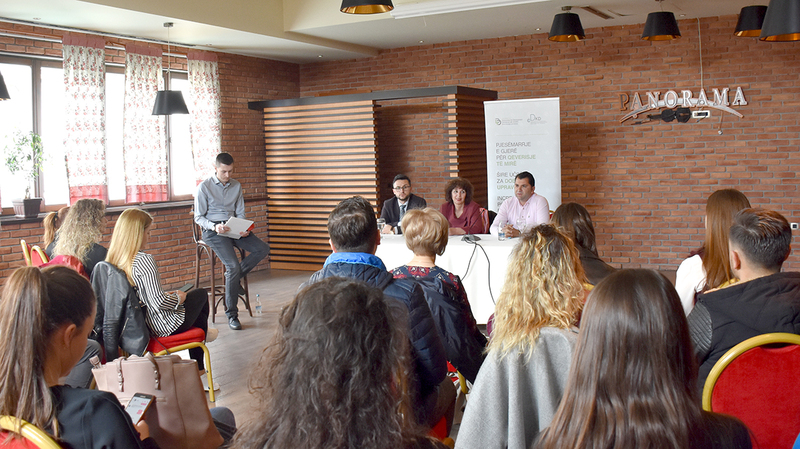 Despite improvements, municipal councilors emphasized that they need to work more to improve the cooperation between the parties in the municipal assembly, between assembly members and the executive of the Municipality, as well as between the Municipality and the citizens, if we want to improve governance and create better conditions for development within the municipality. 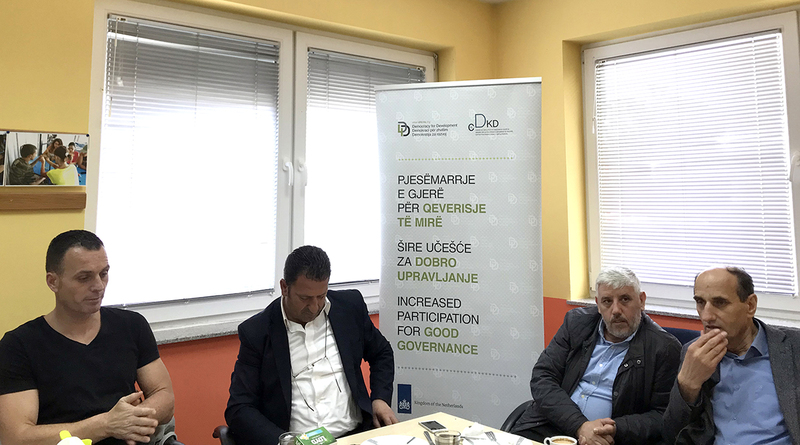 These meetings are organized within the “Increased participation for good governance” project, implemented by the Democracy for Development Institute (D4D) with support from the Embassy of the Netherlands in Kosovo.